Celebration Of “Euphoria” The 1st Annual Day Function!! 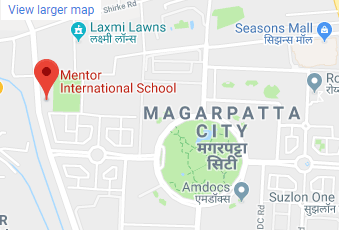 With immense pleasure and with great pride Mentor International School unveiled their annual day celebrations on 15th March, 2019. This year the theme for the school’s annual day function was to spread the message of paying gratitude to each relationships. The celebration of first ever Annual Day “EUPHORIA” at destined venue gives the perfect opportunity to appreciate, rejuvenate and celebrate all relationships. The cultural programme started with meticulous performances of Tiny-Toddlers of Pre-primary and budding artists of primary section. The scheduled performance spell bound audiences while exhibiting the various aspects of relations in life and understanding their importance at numerous stages. The dance programs based on relationship stole the show and made the spectators fascinating. We really appreciate all the co-operation extended by all the parents, students and teachers which was amazing. Annual Day forms an integral part of our school activities & an occasion of celebration, felicitation, feast and festivity. Tiny hands accomplish not only their wonderful performances but also receive honors for their curricular and extra-curricular achievements. We celebrate the annual day by inaugurating with the lighting of the ceremonial lamp followed by welcoming of the guests by team Mentor at the venue. The students were awarded prizes in both Academic as well as Co-Curricular areas. Celebrating this Annual day provides the school with an opportunity to showcase its achievements. It also gives students an opportunity to showcase their numerous talents and interact with their teachers in a more informal environment. Children as well as parents eagerly anticipated the school annual day every year which comprised from dance performances to plays and musical events to speeches. This is also a day when achievers receive felicitation for their accomplishments in the academic year. Annual Day on its own doesn’t have the power to keep our cultural traditions alive. A very inspirational speech was delivered by our chief guests which made the audience listen in rapt attention. Annual functions are really important for kids in the school because it helps kids get involved in extracurricular activities and broaden their thought’s spectrum. We all know “All work and no play makes growing kids dull boy”. Other than this the different themes that schools chooses is an add on to what new things kids can learn in a fun manner. These days, we can all see kids excelling in different areas like dance, painting, drama etc. These annual functions make them and their parents realize their area of interest and fortify their interest further. Also it is a great way to let parents explore their child’s skill set and interest. Team Mentor arranged balloons, flowers, banners, colorful lighting, etc. for decorations to make the venue look pleasing and attractive to everyone on the dawn of Annual Day. Children practiced the entertainment and cultural activities for weeks to match the rhythm. Students sweat out to learn lyrics of songs and steps of dances to perform while bringing the stage alive. Plays and dramas also provide great excitement and entertainment to the audience. The tiny future generation sweat out with black & blue to perform their optimum skills & talent. They invest their charisma to practice sessions after their regular classes with much enthuses. As we share a bonding with every relationships such as with our parents, god, environment, teacher & country etc. As this year the designated theme is based on “Relationship” which made the evening nostalgic. Our future adults determined to mesmerize the audience with their performance on relationship. The tiny hands prepared to depict every relations by emphasizing their importance & contribution in our life. A colorful Annual Day programme amplify the celebration as based on the theme “Relationship” exhibiting the importance of every connection. This was highlighted through skits, dance & songs sending a message to promote gratitude in the society. The essence of every relationship showcase the authentic flavor of each nature which ingrained in us. 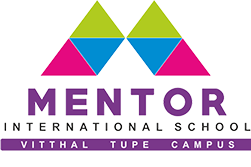 Mentor international school organized such an action packed Annual day which created a buzz in the city with its breath taking arrangements. Kids, parents, staffs, teachers as well as audiences relish the function with ecstasy.